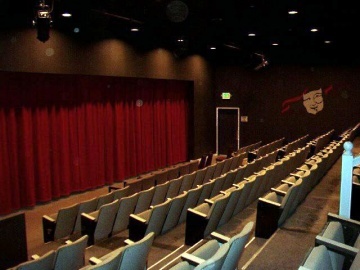 Find an ideal setting for large meetings, lectures, film screenings, and performances in Sierra 2’s 24th Street Theatre. In constant demand by performing arts groups, the theatre is fully equipped with draperies and theatrical lights. A PA system is available for use in the theatre. 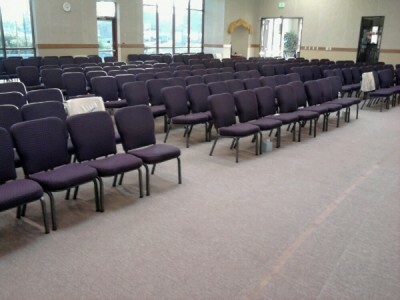 The comfortable auditorium, seating 296 people, includes a full stage and side dressing rooms. These spaces are available to the public for rental on an hourly, daily and monthly basis. 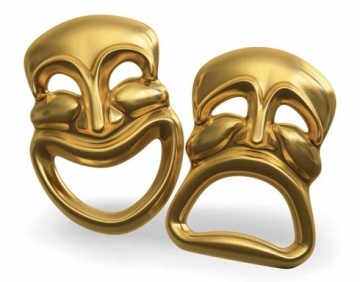 The Actor’s Workshop of Sacramento is a place for actors of all levels of experience to develop their craft. Over the years, the Actor’s Workshop has taught a wide range of classes, including directing, play analysis, acting theory, private acting classes, and much more. The Actor’s Workshop of Sacramento offers continuing weekly drop-in, private, and group acting classes for adults, teens, and kids. A children’s theatre camp is offered during the summer. 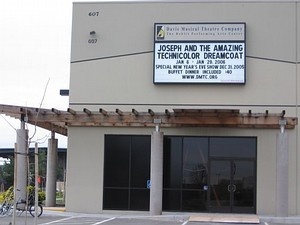 The Department of Theatre and Film at American River College offers a wide range of classes in all areas of theatre, along with an expanding Film Studies program. They also maintain a busy production schedule of four Mainstage performances, faculty-directed Touring and Showcase productions, touring Children’s Theatre productions, student-directed One-Act Play Series, and an on-going partnership with the Fair Oaks Theatre Festival. 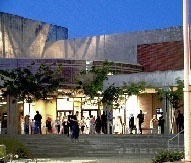 See the plays in action at the American River College Theatre. 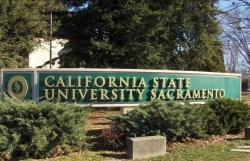 See a map of the campus. Arden Playhouse was first established in 1998 when they took over the facility which was once JayRob Theater and later Stagedoor Comedy Playhouse. They continued the tradition of producing comedies and farces for three years, until the building was purchased by new owners and staying in business at that location became impossible. Now, Arden Playhouse is back in a brand new theatre. They continue their tradition of presenting the best in comedy, including some original plays, for your entertainment. Enjoy your theatre-going experience at the Big Idea Theatre! Big Idea Theatre strives to establish a company of talented actors and technical crew members to deliver the best performances possible both on stage and back stage. They intend to produce well-written shows by well-known playwrights that are not often produced in this area. Also, they intend to make the theatre-going experience fun and exciting for everyone. 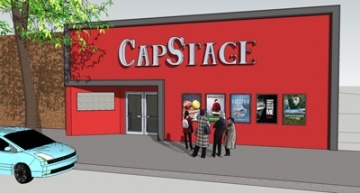 At Capital Stage, you’ll discover the power of live theatre up-close and personal. You’re so close to the actors, you’ll see every twinkle of the eye, every leer and sly grin; you’ll catch each word, sigh, and grumble. The play will draw you in; it might charm and seduce you, or even challenge your mind. Before you know it, you’ll be caught up in the rush of laughter and the waves of emotion–powered by our passion and your imagination. Previously held aboard the Delta King, the Capital Stage is relocating to a new Midtown location beginning with their 2011-2012 season. 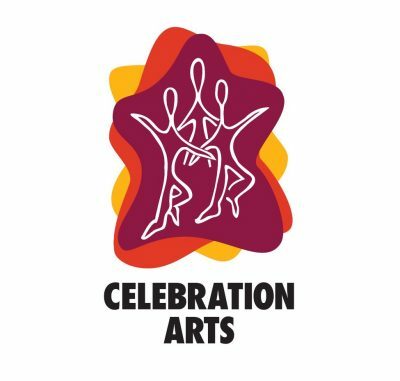 Founded in 1986, Celebration Arts is a multicultural, multidiscipline performing arts organization. It is well known for developing raw talent and presenting fine quality productions. Providing quality theatre for the Sacramento region, the long-running Chautauqua Playhouse is a non-profit 501(c)3 corporation. Season subscribers and the theatre-going community enjoy a variety of new and traditional comedies, dramas, original plays, children’s theatre, and musical reviews, with a wide range of ethnic and cultural appeal. The group has been hailed by the Sacramento Bee as "one of the area’s most consistent companies." 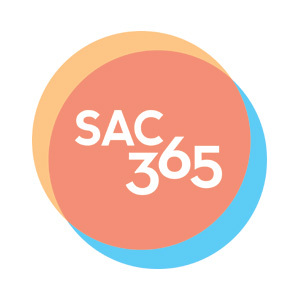 City Theatre is the performing arts program at Sacramento City College, part of the Los Rios Community College District, in Sacramento. The program offers a variety of classes in acting, technical theatre, film studies, and theatre history. The City Theatre season consists of Mainstage productions, Storytime children’s productions, and a touring children’s troupe the "Pennywhistle Players." During the summer the theatre move outdoors as the producers of the Sacramento Shakespeare Festival. City Theatre at Sacramento City College aims to bring to the Sacramento community a unified theatre experience, beginning with the best training available for anyone interested, put to the test in fine professional productions from the old to the new, which will, in turn, strive to speak as much as they can to all of Sacramento’s diverse communities. The longest continuously operating art museum in the West, the Crocker Art Museum was founded in 1885 and remains the leading art institution for the California Capital Region and Central Valley. The Museum, which is housed in one of the finest examples of Victorian Italianate architecture in the United States, offers a diverse spectrum of special exhibitions, events, and programs to augment its collections of California, European, and Asian artworks, and International Ceramics. The Crocker nearly tripled in size when the Charles Gwathmey-designed expansion opened in October 2010. The CSA Event Center is designed to make this performance venue the perfect setting for small and large shows. Every seat in the house has an uninterrupted view of the stage. 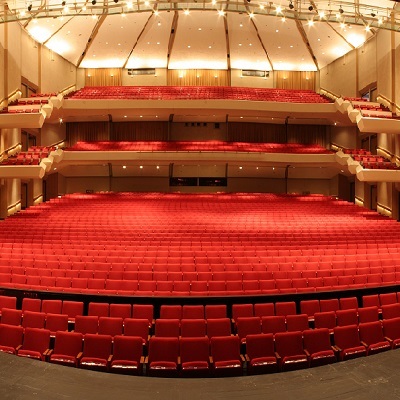 This 400 seat venue has cushioned seats that can be arranged for intimate or large performances. The historic Delta King riverboat is a completely renovated, historic 1920s riverboat that plied the Sacramento River between Sacramento and San Francisco from 1927 to 1940. The Delta King and her sister ship the Delta Queen were the finest paddle wheelers of the day; offering charm, grace, elegance, fine dining, and live entertainment. In addition to being one of the premiere Sacramento hotels, The Pilothouse restaurant boasts of the best offerings that Sacramento restaurants provide in fine dining, outstanding river views, an expansive wine list, and entertainment. Whether you are looking for the ideal site for weekend getaways, weddings, business conferences, entertainment or vacations, the Delta King will delight you. The Delta King is also home to Suspects Dinner Theatre. Before this theatre was built in 1849, the only entertainment available in Sacramento was found in gambling houses and saloons. Then, when the theatre was built 49ers, starved for culture, paid $5 in gold dust to enjoy dramatic and musical entertainment. In 1850, the Sacramento River flooded the theatre. 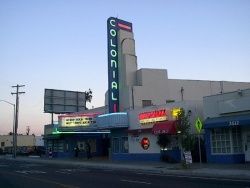 This reconstructed 80-seat theatre is designated as an historic landmark. Docent-led tours are free and feature computerized slide shows covering Sacramento’s early rough-and-tumble history. 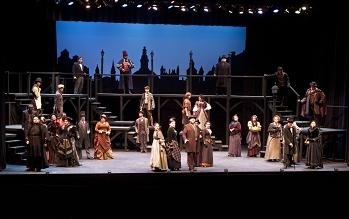 During summer weekends, the theatre produces period melodramas as well as featuring musical entertainment. Treat your senses to the most powerful and involving movie experience yet created. The Academy Award-winning IMAX technology brings images to life like no other. Experience an arm chair adventure that will take your breath away! The Esquire IMAX Theatre provides you with a larger-than-life escape putting you in the heart of the action. The Fair Oaks Veterans Memorial Amphitheatre was built in 1971 and is owned by the Fair Oaks Recreation and Park District. Each year the Fair Oaks Theatre Festival turns this unique facility into a full-fledged theatre for their summer productions. 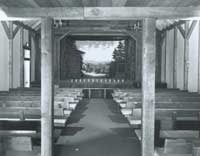 In 1971, a group of dedicated community volunteers founded the Veterans Memorial Amphitheatre in the heart of the historic Fair Oaks Village. Twelve years later, the Fair Oaks Theatre Festival was founded and the Veterans Memorial Amphitheatre provided the setting for the Theatre under the Stars – a theatre that has become both a community tradition and a regional asset. This outdoor venue presents its own set of special circumstances. It sometimes compete with helicopters, chickens roosting in nearby trees, and an occasional cat that can’t wait to be a really big star. But along with these small annoyances are the cool breezes on a warm summer evening, the picnicking in the park before the show, and the smell of fresh popped popcorn always available at the snack bar. The Fair Oaks Veterans Memorial Amphitheatre is one of the last outdoor venues offering live theatre to the public in Sacramento County. The Festival is committed to the preservation of this facility and they developed a plan to remodel the Amphitheatre. 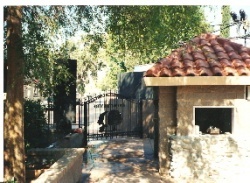 Phase I of the project was completed in 2002 with the remodel of the entry lobby and a new ticket booth. Phases II & III, a complex at the rear of the Amphitheatre that houses a snack bar, concession area, control booth, and restrooms, were completed in 2004. Folsom High School is part of the Folsom-Cordova Unified School District. 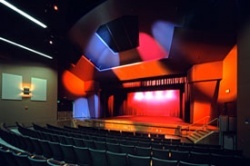 It is home to the 700-seat Jill Solberg Performing Arts Theater.